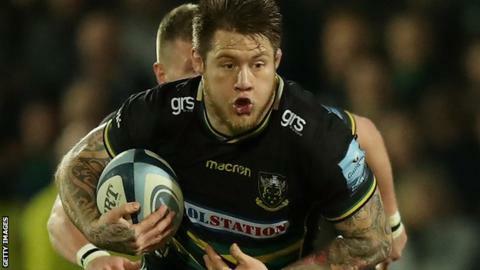 England back-row forward Teimana Harrison has signed a new contract with Northampton Saints, which will keep him at the club until the summer of 2022. The 26-year-old New Zealand-born player has played 121 games for Saints since making his first-team debut in 2012. "Teimana's been one of the club's most consistent performers in recent years," director of rugby Chris Boyd said. "He's still evolving and I'm confident he will continue to prove himself a vital player for us."